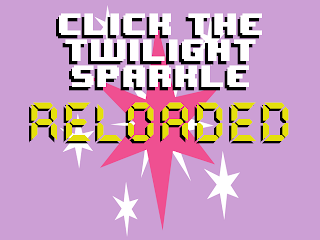 Click the Twilight Sparkle RELOADED features amazing gameplay which provides a subtle infusion of retro charm, and has tremendous replay value, to be sure. The clicks feel satisfying as ever, and add to that stunning revamped visuals, and you have a true award-caliber game. I know what you're all thinking - "Enigma, this game sounds fantastic, but how much will it cost me?" The answer, friends, is not a cent. You see, we're providing this game free of charge so you can see how great it is before purchasing the Click the Twilight Sparkle RELOADED: Alicorn Expansion Pack. This DLC will come at a fair cost of $59.99 and will add a whole new dimension of gameplay with the addition of wings. Just look at those gradients! Everything about the gamefeel is truly refreshing - the music fits the action perfectly, and everything from the menu design to the font choice exemplifies pure class. The creator of this game, a mysterious genius known only as "Enigma Sage" has stated that he intends for the game to be published on Steam for better distribution, but in a statement released yeterday, Enigma said "Gabe Newell won't return any of my phone calls." Fingers crossed on that front. Obviously Click the Twilight Sparkle RELOADED is destined for award-level greatness. Game of the Year is a perfectly viable goal for a game of this magnitude. The best we can do here at EqG is a perfect 10/10. If we had an 11/10, this would be the game for it. What are you still doing reading this article. 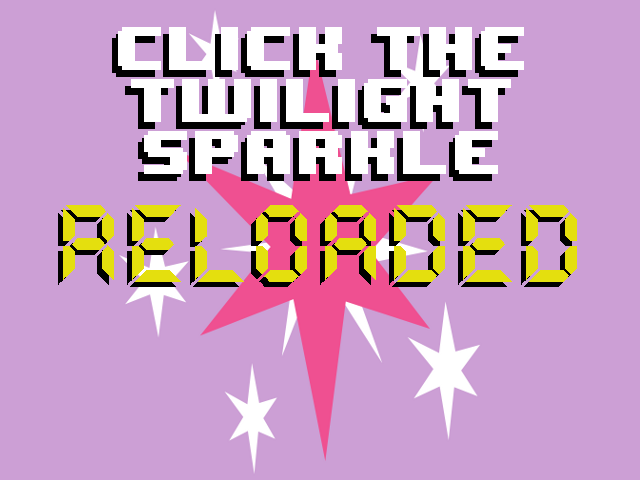 You should all be playing Click the Twilight Sparkle RELOADED right now. You won't regret it.